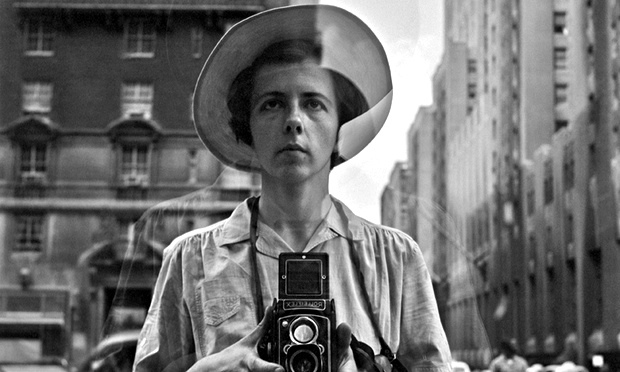 The public’s appetite for Vivian Maier shows no signs of sating. Four books of images (and more on the way), two feature length films, international gallery exhibitions, and countless press articles since her archive was unearthed in a Chicago storage in 2007. Interest in Maier is unprecedented. I know of no other photographer to have received such sustained worldwide attention. The phenomenon is more akin to the rise of a teen pop star/talent show winner than a significant visual artist. Herein is a clue. Kevin Coffee observes: “The marketing of Maier reproductions leverages a contrived narrative of her life as the reclusive ‘nanny photographer”. To what extent he is justified in describing Maier’s depiction as ‘contrived’ is impossible to say. However, his basic point that the work is being aggressively marketed using an intriguing human interest story – a twist on the artist in the attic myth – is valid. In Maier’s case, of course, she often did live in the attic space of her employer’s. The small group of independent collectors now each controlling parts of Maier’s archive (John Maloof, Jeffrey Goldstein and Ron Slattery) clearly have vested commercial interests in the public enthusiasm for the “Mary Poppins” caricature of Maier. But to be fair, all biographical representations of interesting lives are skewed to varying degrees by issues and constraints around access to people and material, authorship decisions, and publisher constraints. Not to mention marketability. Such is the process of commodification in a market based society. The collectors guarding the gates to Maier’s work each make the work publicly accessible (each through different channels). Their participation in the films Vivian Maier: Who took the nanny’s pictures? (Slattery and Goldsetin) and Finding Vivian Maier (Maloof) has also greatly raised public awareness. Maloof, in particular, has been at pains to locate his Maier material with major public institutions without success and has at least sought to use some of the financial gains he’s accruing to honour Maier’s legacy. My point in writing this piece is that Vivian deserves more; to be more than a quirky human interest story and a tradable commodity. Whilst the hype around the ‘Mary Poppins’ narrative invariably strengthens itself by asserting that Maier is a significant photographer, there is a dearth of critical analysis of her work. Maier appears to be a major photographer in the pantheon of ‘street photographers’. She was a contemporary of Diane Arbus, Ted Croner, Neil Libbert, Sid Grossman, Lee Friedlander and Louis Stettner (associated with the ‘New York School’) and worked the same New York streets until moving to Chicago in 1956. Maier was an avid reader and archivist of newspapers, especially the New York Times, and so could reasonably be expected to know of these fellow street photographers. I believe much more comparative and chronological analysis is needed to locate Maier’s work in this context. Was she an innovator or imitator? To what extent was she helping, albeit in relative isolation, to define what we know as the ‘New York School’ style or, merely aping the style she read about and saw in newspapers. I am inclined to the former view. Kevin Coffee1 notes the distinctions in empathy between Maier’s treatment of subjects and that of other photographers of the ‘New York School’. Similarly, he notes parallels between her working methods and those of Diane Arbus who worked the same New York streets with the same square formal twin lens Rolleiflex (until 1956). Both women often sought out marginalized members of society and reflected on middle class suburban life with a left of centre liberal eye. Whatever the legal and ethical issues surrounding the Maier archive – and however intriguing the personal history – surely Vivian deserves the sustained critical evaluation afforded by quality academic scholarship. To his credit, John Maloof is funding the Vivian Maier Scholarship Fund at The School of the Art Institute of Chicago from the proceeds of prints sales and his film Finding Vivian Maier. For now we must grit our teeth until Vivian emerges from the dust raised by the public’s fascination with ‘Maier Poppins’. Serious scholarship is the best way to honour her life’s work. It will come in time. Correction 10/8/14: This article initially cited Randy Prow as a custodian of Maier’s work and appearing in the film Vivian Maier: Who took the nanny’s pictures? It should have read Jeffrey Goldstein in both instances. Article © John Meehan 2014. This entry was posted by John Meehan. Bookmark the permalink.